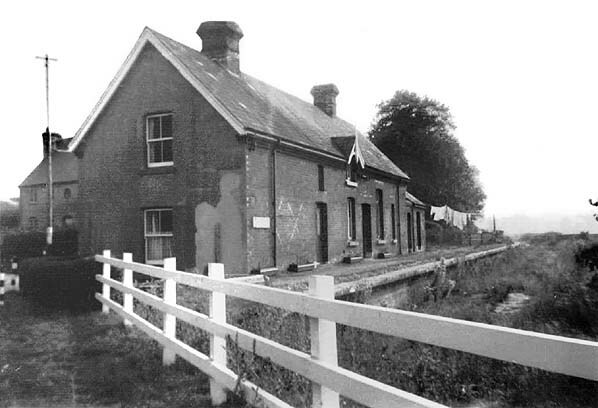 Present state: The main station building/stationmasters house still stands although with some alterations. It is now a private residence. The platform is also extant but there is a high fence round the whole site and it can't be seen. Notes: It was intended that the station should open in May 1872 but an inspection before that date was unsatisfactorily. 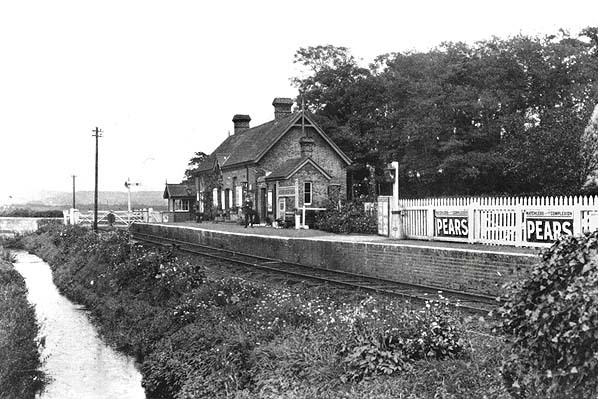 Despite permission to open being refused a service to Sandown started on 28th May 1872. This was maintained by the contractor but ceased by 27th July 1872. The authorised service began on 1st February 1875. 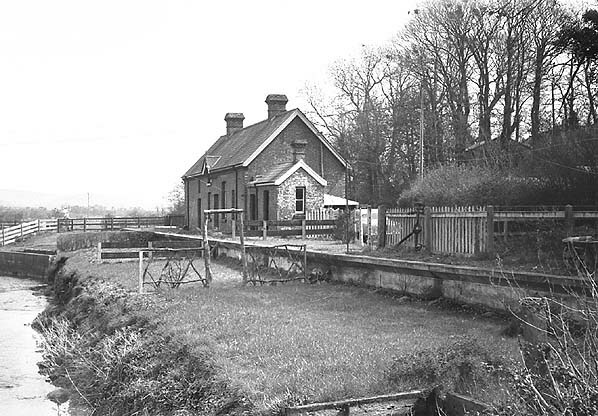 A goods yard consisting of a single siding was located to the west of the station. 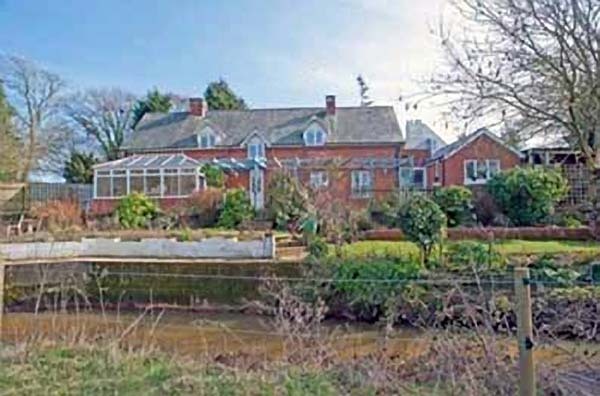 The station has rewcently been on the market for £625,000. 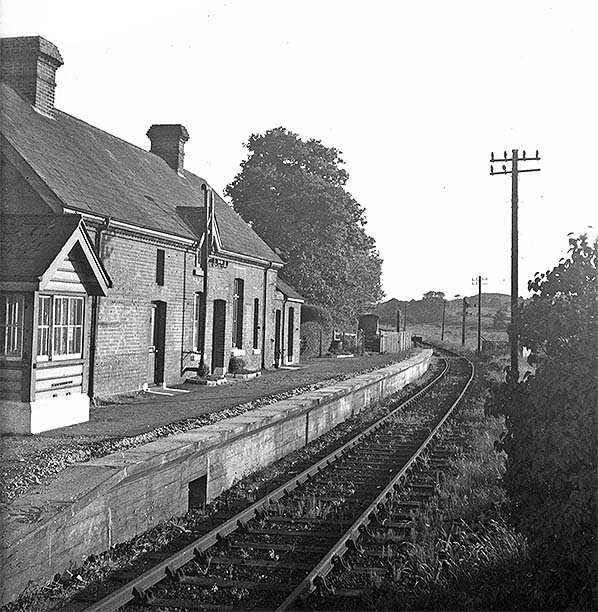 Horringford station looking north-east in early 20th century. 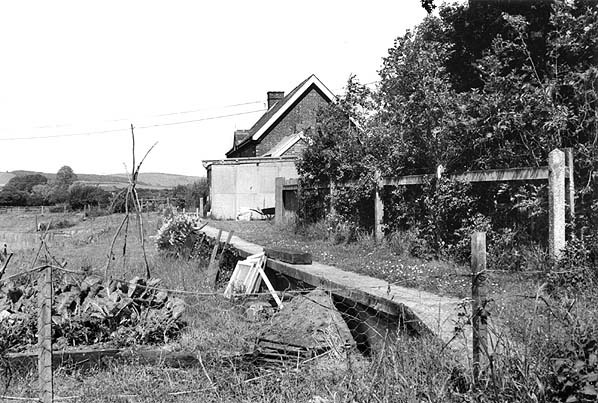 Horringford station looking south-west c.1964. 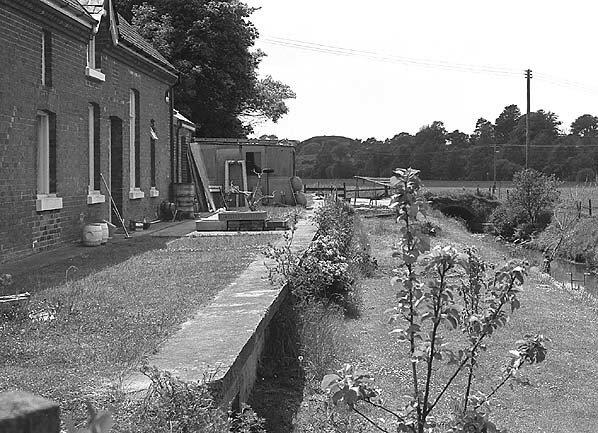 Horringford station looking north-east in June 1974. Horringford Station forecourt in June 2005. 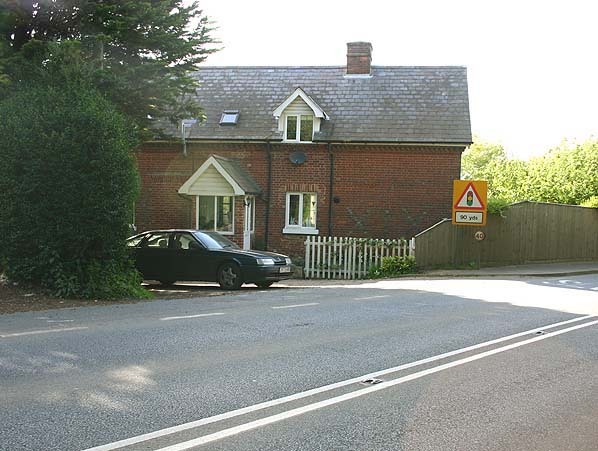 The level crossing is to the right. 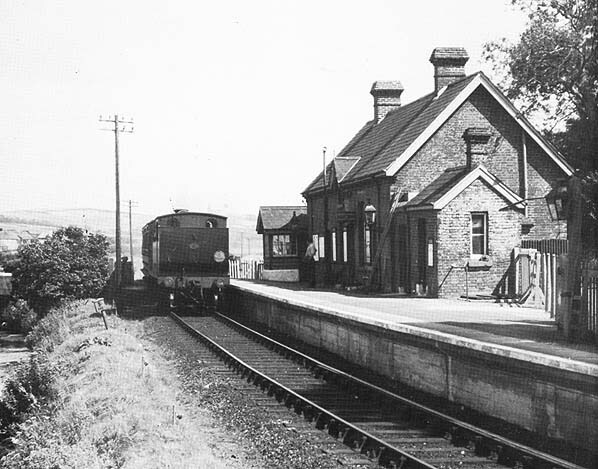 Horringford station seen from across the River Yar. The platform is intact with a conservatory added to the north end of the building.